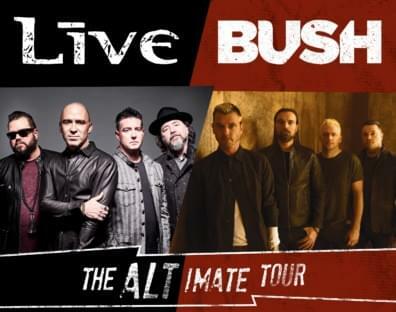 +Live+ and Bush will be at the Allegan County Fair on Saturday, September 7, 2019 with guests, Our Lady Peace! Tickets go on sale, this Friday, March 15 at 10am. Tickets purchased BEFORE August 15 includes fair admission! Does not include parking. To purchase your tickets, go to Allegan County Fair etix Box Office or call 888-673-6501. Show starts at 7pm Tickets are $45 and $60. The Allegan County fair is September 6-14, 2019.